It is a curious thing to debate the religious on birth control. Have you ever noticed how the secular arguments on the subject center on objective reason and evidence; while the religious ones seem to depend on such things as tradition, family values, religious spirituality and fear? Have you ever tried pointing out that the more religious parts of the country tend to be more susceptible to such problems as teen pregnancy and STDs? Have you ever tried pointing out that there is a direct causal relationship between lower rates of birth control usage and higher rates of poverty and crime? And have you noticed how these arguments, and many other sensible ones, fall mostly on deaf ears? Consider the fact that when you peel all the so called spiritual and traditional layers from the anti birth control argument, you will inevitably get to one core argument – that the deity (whatever one might call him) simply does not want his human creation to use birth control. This nonsensical claim, as I have mentioned many times before, is never backed up by any reason or evidence, it is simply asserted out of thin air. I often remind my religious counterparts that what can be asserted without evidence can be dismissed without evidence, but this somehow also falls on deaf ears; leaving the religious perfectly comfortable with their thin air assertions. Well, if they insist – two can play that game. The next time you are debating birth control with a religious person; simply assert that Yahweh (or Allah, or any other deity) WANTS people to use birth control. 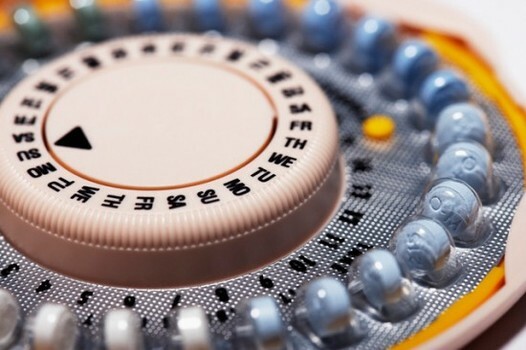 Feel free to double down and claim that not using birth control is a sin – punishable by eternal burning in hell. You need not provide a single shred of reason or evidence to back these claims – feel free to simply state that this is your faith based interpretation of the scriptures (or some such nonsense), and show your religious counterpart how silly it is to assert things out of thin air. You can, of course, keep going and use this exact same type of argument for other subjects. Why not claim that Yahweh is actually in favor of abortions, homosexuality, divorce or anything else? Once again, as silly as this might sound, this is EXACTLY as silly as the arguments the religious are making in the first place. It is high time to stop letting the religious get away with their nonsense assertions while secularists and atheists are somehow compelled to only use high road arguments. If, as Christopher Hitchens so eloquently pointed out, what can be asserted without evidence can be dismissed without evidence, well then, it can also be counter asserted without evidence as well. Such are the dangers of making thin air assertions in the first place. So go ahead – try it out. I can guarantee you will have a refreshingly interesting debate.